Whether you are a die hard sports fan or just want to watch the crazy one of a kind Super Bowl ads that run the sponsors millions of dollars, you will be glued to your High Def sets getting a good dose of ads, punts and touch downs. Planning to have a few friends over? Take a look at some menu suggestions for game day ! Click for recipes. Or go to your nearest Indian Grocery store to buy Indian Snakcs !!!! Every year we look forward to greeting a brand new year. And we say it's that time of the year again. Parties, Parties everywhere ! Plan yours today. Plan your New Year's Party at least a month or two ahead. Ask your favorite friends and family what they have planned for that night. Take this poll early, maybe in November. You can also think of inviting "new" friends and people who do not yet know each other. Its a great time for new people to met. If you have a guest list in place for your new year's party. Your next thing is to choose a THEME for that night. Also plan some PARTY GAMES making sure you include and keep all your guests entertained. Remember to introduce the guests who don't know each other. This makes everyone comfortable. Try to spend a little special time with as many people as you can. Have a lot of FINGER FOOD scattered around many tables. This is a great time to make that PUNCH. Have the Party Hats and Blow Horns ready for 12 o'clock. Have some fresh Finger Foods for later. Keep them coming. If you've planned well, you should be spending your time mingling, not cooking and serving. To make life easier Plan a New Year's Eve Party in an Indian Restaurant. You will also find many Indian restaurants offering New Year's Eve Party Packages. So check you local Indian restaurant. Get the kids together for an evening of fun and games. Plan one evening and invite your kids playmates for 1 to 2 hours after school. Make sure you invite an odd number of kids as you always want an even number of kids including your child, so that no one kids feels left out. Simple menus are always the way to go. Plan to go to a nearby "Park". Plan a "Running In The Sprinkler" get together. Plan a "Play In The Snow" get together. Watch a Favorite "New" Movie together. Picnics in the summer time are great. Call up 2 to 3 of your favorite friends/neighbors/family. Hook up with people who have kids of the same age as your kids. Choose a picnic area, maybe some place that you have not visited in your area. Look up your map and choose a state park or a local park. Here are some things you might need . 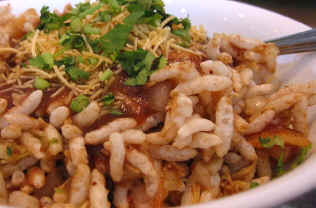 "Chaat" is often used as a generic term to describe certain street foods. Crunchy, tangy, hot and sweet flavors combine to make Chaat delicious to eat as a snack or a great alternative to a meal. Mostly North Indian in origin, they make a great alternative to a meal because they're wholesome, quick and easy to prepare. Chaats are always made fresh and eaten immediately. They combine tangy, hot and sweet tastes together. The result is always addictive! You can tell it is so by the crowds that line up alongside roadside Chaat stalls in India! Chaat Parties are becoming more and more popular ! In the Chicago area there are restaurants that will send out someone to your house and arrange for freshly made bhel puri, pani puri and more. Organize a chaat party for a large or small crowd. Traditional Indian sweets are a good dessert idea for this meal. If you don't want to make the chutneys from scratch get them from the Indian grocery store. Bhel mix & Puris are also readily available. Additionally, you will need chopped tomato, onion, green chilies, coriander leaves. Keep everything chopped before hand; do not leave any chopping for the last minute. Assemble the chaat with the green and tamarind chutneys just before serving, as it will get soggy. Sev Batata Puri is the same as dahi batata puri but without the yogurt. Pot Luck dinners are now becoming the rave of the "Busy" and "Working" families who would like together but do not have the time to throw elaborate parties. But at the same time want to get together with friends and family. Pot Luck Dinners are a great way to get together for either a "Couples-only" dinner groups or "Family Get togethers". Set the menu ahead of time and assign each person a course. If it in your neighborhood, you can do a "Progressive Dinner", which means you can go from house to house for each course. It's a new way to make your dinner parties memorable and at the same time share the preparation effort between all the guests. A Progressive Dinner allows you to get to know your neighbors and enhance community spirit. When organizing a "pot luck", there should be one person organising it. Select a menu and distribute the menu to all who are attending. As usual plan ahead. Getting together with family and friends for a dinner party with the soothing sounds of Ravi Shankar's sitar in the background is a great way to entertain. Unless you have many tables and can arrange a wait staff, hosting large groups is best accommodated with buffet service. Choose foods that are easy to serve and easy to eat. Avoid dishes that require cutting with a knife and fork if guests will be balancing plates on their laps. Therefore Chicken tikka is a better choice than Tandoori chicken. It's important to arrange the buffet table to facilitate traffic and make things easy on your guests. You returned from a birthday party last month and thought to yourself--"How did she do that? 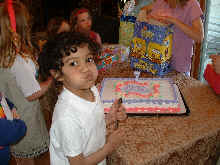 Every thing was perfect the kids had fun and Mom and Dad seemed so calm!" There are two possibilities...She either hired a party planner or she was organized and prepared. Planning your child's birthday party can be a lot of fun and making this day special will be up to you, so that you create memories to last their lifetime. It's birthday time and you are probably wondering how you can get everything done in time. Age appropriate party planning. Many moms believe that hosting a birthday party is filled with more energy, creativity and patience than they can muster. Not true! Children remember what they did at a party much more than what they ate, what the plates and napkins looked like or whether the house was spotless. Don't sweat the little details! The best party times are....1:00 - 3:00 or 2:00 - 4:00 You can avoid serving a meal. For little ones try 10:00am -11:30 to work around nap time. Child's age + 1 = happy kids For children under 8 years old, invite as many children as the child's age plus one. Some parents choose to add 1 or 2 to this equation. Only you can know your limits. Of course as your child gets much older the formula will need revision. Parties for very young children, more often than not will include family members; cousins, siblings etc.As your child gets older, invite only your child's closest playmates. They already know each other well. Friends from daycare, school, Sunday school and neighbors. No one should go home a Loser! Competitive games are enjoyable only for the people who win. A party should be Fun...Avoid tears by selecting games that everyone gets a chance to succeed. If it's a game like musical chairs, where some one is out, make them the leader of the music. Then let the player join back in after one round. Better yet, plan a few cooperative games, in which the whole gang faces a challenge, such as following a treasure map, then they each receive a prize or split the treasure evenly. Prepare ALL of the activities, games etc. before the party. This enables you to focus on the kids when the party begins. Ask a friend , family member or neighbor to help with the party. It's likely you have a neighborhood teenager who would love to help, when offered a few dollars for their time. It is usually best to get the invitations mailed out two weeks before the party, and if the birthday is around a holiday, three weeks would be even better. Plan kids parties early on the day. Kids do well during the day. Summer time and BBQ's are inevitable ! Here are some suggestions for an Indian BBQ. Sometimes it is great to get together with friends between the hours of 1 pm to 4pm, after lunch and before the kids get home from school. Make sure that you keep to a simple yet colorful menu. A couple of snacks with one dessert or sweet with a drink of your choice will make this kind of entertaining very easy. Invite a few friends over to watch a nostalgic Bollywwod movie, but forget the microwave popcorn and make a simple meal that will satisfy the crowd. Invite only as many quests as can sit comfortably in your family room. Serve all of the food at once, so that guests can fill up a plate and enjoy the movie. Finally, turn off the ringer on the phone, turn down the lights, and press "play." Sometimes I think we need to take the time to change the recipes we cook week after week. So here are some great tips to do just that. Planning is the key...even if it is in your mind....Take the time to write cause it sure does help. But before you plan you might want to ask your family to suggest some dishes....some that they would love to eat. This will give you a great start. Sometimes, even they don't realize that it is pretty tough to come up with delicious as well as nutritious meals day after day. 1. Make sure you have at least 2 green leafy veges in a week. 2. Plan for wholesome and well balanced meals....that means make sure you have one salad/raita everyday ! 3. Plan for vegetarian and non-vegetarian dishes.....alternate days. Keep in mind that your family's health is in your hands and so plan on serving them healthy food. 4. Plan a simple menu, using dishes you usually make...easily. 5. Write down the ingredients you would need for the week using your menu. 6. Try only 1 or 2 new recipes each week so that with time you can add variety in your family meals. categories....appetizers, non-veg, veg, rice dishes...etc. I have seen that sometimes we forget what they had liked when you had made it. 8. Keep this book in the kitchen itself so it is easily accessible whenever required. 9. Look in your refrigerator to see what you can use this week. Look for recipes on the net using those ingredients. cuisines....Indian, Italian, Chinese, Thai etc. 11. Make use of leftovers from previous meals and turn them into a dish by itself for the next day. Hope these few tips help you with your menu planning !